When its cold outside.. Girl, who are ya holdin’. 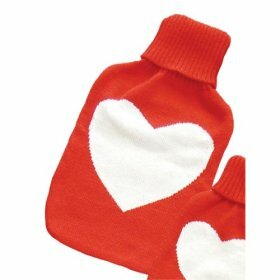 My cute little knit heart hot water bottle that’s who!! Perfect to warm up your chilly bed before you jump in.. Or for when you are having cramps and need a little relief.. Just fill with hot water and its snuggly time. I got mine from amazon, where you can buy practically anything..